Ascott has opened the third property under The Crest Collection – a selection of Ascott’s most prestigious and unique luxury serviced residences. Located in the heart of Paris’ 8th arrondissement, the new La Clef Champs-Élysées Paris residence is housed in a building steeped in history. The entrance to La Clef Champs-Élysées Paris is on Rue de Bassano, a few minutes from many of the French capital’s most sought-after attractions, including the Arc de Triomphe, Eiffel Tower, Grand Palais, Théâtre du Rond-Point and the famous Avenue des Champs-Élysées. The property is also a stone’s throw from Avenue Montaigne and Avenue Georges V with their luxury boutiques and fashion houses. The lobby of La Clef Champs-Élysées Paris features a fragrance lounge where guests can discover a collection of five essential oils and a signature fragrance created exclusively for the property. Every room has a fully-equipped kitchen, Nespresso machine, dishwasher, elegant dishware and even a washer-dryer. Facilities at La Clef Champs-Élysées Paris include: 24-hour concierge and room service, valet-parking, laundry, buffet breakfast, fitness suite, residents’ lounge, complimentary L’Occitane toiletries and high-speed internet access. Later in the year, the first restaurant in France by Michelin-starred Singaporean Chinese cuisine group Imperial Treasure will also open within La Clef Champs-Élysées Paris. 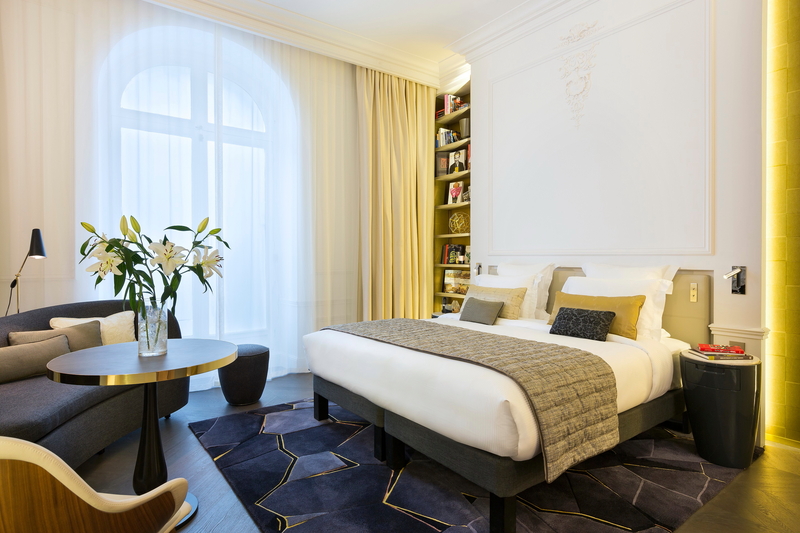 Besides La Clef Champs-Élysées Paris, Ascott operates two other properties under The Crest Collection – La Clef Louvre Paris and La Clef Tour Eiffel Paris. “Ascott has established a presence in Europe with 48 properties and over 5,900 lodging units including more than half of them in France. We have recently announced a new franchised Citadines property in Amsterdam – Citadines Sloterdijk Station Amsterdam that will open this March; two other franchised Citadines properties are scheduled to open in Nantes and Strasbourg in 2019 and 2020. We aim to increase our presence in Europe to 10,000 units across 100 properties by 2023 through acquisitions of turnkey developments or existing buildings which Ascott can convert into lodging, management contracts and franchises,” said Lee Ngor Houai. See latest HD Video Interviews, Podcasts and other news regarding: Ascott, Champs-Elysees, Paris, France.